A founding partner in the firm Elissa has focused on the office segment of the business working with a full spectrum of users from the United Nations and boutique Financial Service Firms, Family Funds, to the more creative environments required by Advertising, Marketing, Design, Creative, Engineering and Architectural firms. By paying careful attention to each Tenant's specific goals Elissa strives to help companies think out their long term goals and assure their solutions will meet both the short term goals and long term requirements. Elissa's background in the media and entertainment world provides her with clear insights in to the needs of mid sized organizations with a focus on quality work spaces. A broker's ability to foresee timing and occupancy challenges is critical to supporting a successful move or expansion for any company or organization. When the United Nations Development Fund for Women, UNIFEM, needed to expand it's offices to support a newly funded program Elissa was engaged to help UNIFEM plan the expansion. Initially the requirement was to support a team of 15-20 staff members in a short term pilot program but as the program developed the requirement grew to a team of over 100 and need for long term office space solution was implemented. To quickly advance the goals of the pilot program Elissa secured a short term occupancy for the initial team and went about identifying solutions that would both provide UNIFEM with space for the full program as well as options to further expand if necessary. 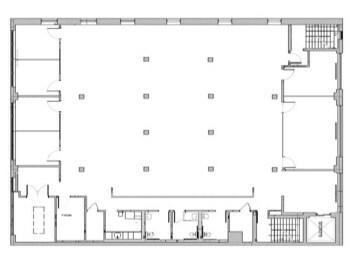 Securing a 12,000 SF lease for UNIFEM at 866 UN Plaza provided the critical space for the program in addition to meeting all of the organizations security and access control requirements. Working carefully with UN plaza's Landlord, Vornado Realty Trust, Elissa was able to achieve a turn-key office installation for UNIFEM to rapidly deploy it's long term program objectives with minimal project management on the organization's management team. Elissa also understands the needs and requirements of smaller firms who may not have the same mandates as fully operational organizations; she has successfully helped many companies in the 3,000-7,000 SF range secure office leasing solutions that allowed companies to expand AND contract to the correct size they needed to be successful. She recently helped a growing PR firm who thought they wanted a 2 year growth space achieve a 3.300 SF lease that would allow them to achieve their 5 year plan on budget and on target by providing them with a stepped leasing solution that allowed them to both solve their short term but also their midterm goals for the growth. Elissa's creative services background and pragmatic business judgement help all sorts of companies achieve office leases that otherwise would not allow them to grow beyond the constraints of Manhattan office leasing. To have a broker who will look out for all of your goals, contact Elissa to help you solve your office leasing needs. 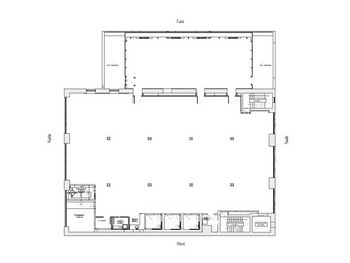 Built to suit with a flexible leyout and open plan for up to 90 heads with 5 offices or break out rooms and full sized board room. Hold your meetings on the south or north terrace! 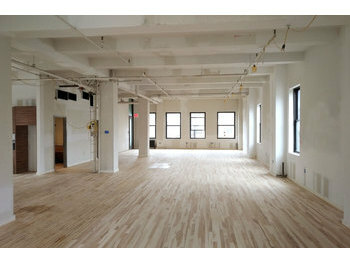 West Chelsea full floor - turnkey offices for immediate occupancy. Funriture can be made availble. Full floor in the heart of the Flatiron and Union Square neighborhoods. 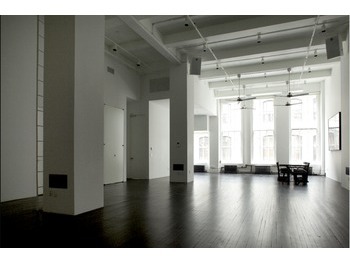 Elegant space with 12' tall windows on one end with ultra clean lines in a recently renovated space. Full bathrooms and pantry, Tenant controlled A/C on a prime block between Broadway and Fifth Avenue. Perfect for showroom, office or gallery use. Elissa focuses on the Flatiron, Union Square, NOMAD, and Midtown markets. With a familiarity and of boutique financial service space available from the Grand Central corridor up to Park Avenue she has depth and experience working across the entire Midtown East market where she is familiar with most of the ownership's in the area. Thank you. Click the link below to download Elissa's vCard.